The Math Center is available to all students currently enrolled in any math class at Sierra College. Students who come to the Math Center are offered FREE tutoring in Mathematics courses taught at Sierra College. The Stats/E Math Center in V-208 focuses on helping students with Statistics (Math 13) and Practical Math (Math E). 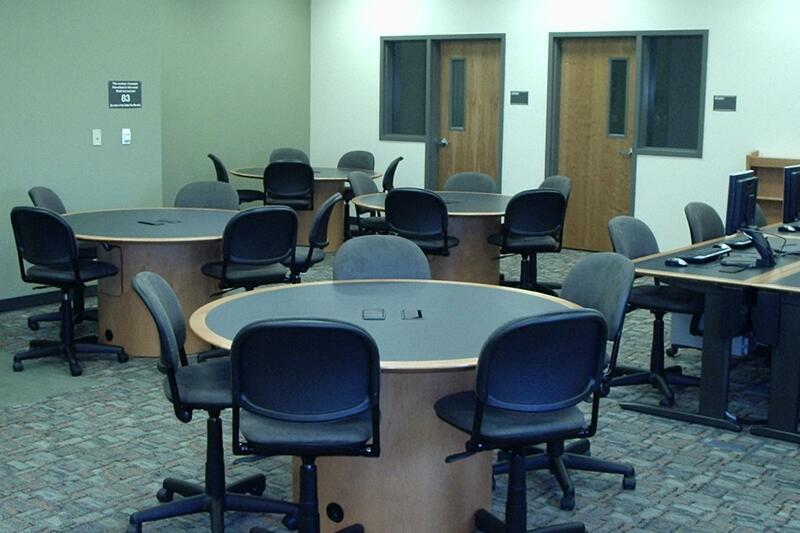 The General Math Center in V-329 can help with any math class taught at the college. The ILP (Individualized Learning Program) Lab is restricted to helping students enrolled in ILP courses. Visit the ILP Website for more information. To show proof of current enrollment in a math class and receive FREE tutoring in one of our Math Centers, students will be asked to log-in (using their student ID number) when they come to the Math Center. This helps us make sure that the resource is being used by Sierra College Math students and helps us get funding for our program. You must know your 9-digit student ID number (or have your student ID card) AND be enrolled in a Math class to use the math center. Students DO NOT need to be failing a course to receive assistance; in fact, students very often seek tutor assistance to deepen their understanding or to further expand their information base. The Math Center is a good place to do your homework. Tutors circulate to make sure all students are being helped and you may even find a study partner or group! For more information, come to Building V-329 or V-208 during Open Hours (click on a math center link to the right). By using the Math Center, you agree to be enrolled in a non-transferable, no credit, no fees course...SD/801 - Supervised Tutoring. You are required to sign in and sign out every time you use this center. This is how we pay for our tutors and our equipment.